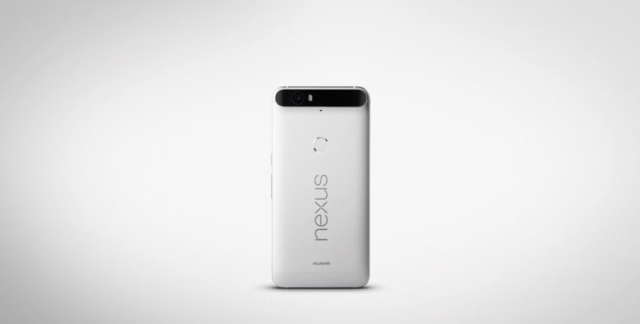 Google has made it all official, folks: this is the Nexus 6P by Huawei. There aren’t many surprises by now, but it’s nice to get an official rundown of everything this phone has to offer. You’ll notice there’s no wireless charging or microSD slot, but there’s plenty more to like here. The device features Nexus Imprint, which is a fancy name for that fingerprint scanner you see on the back. It can be used to authorize purchases from Google Play or in financial apps, as well as the ability to authorize Android Pay purchases. The device also works with the new “Android Sensor Hub,” a low power mode which is always working to deliver context-sensitive functions. For instance, tapping the fingerprint scanner will bring the device from sleep to wake in no time — it’s nearly instantaneous. It also powers the ambient display mode, which — coupled with an awesome AMOLED display technology — makes it easy to jump in and out of notifications even while the display is powered off. The Nexus 6P will obviously ship with Android 6.0 Marshmallow and all the features which come with that goodness (including Google Now on Tap). Google also confirmed that it’s fully compatible with all major US carriers, as well as most carriers in Canada and around Europe. Oh, and there’s Proect Fi support — can’t forget that. You can order one from the Google Store right now starting at $499 in Aluminium, Graphite, or Frost color options.